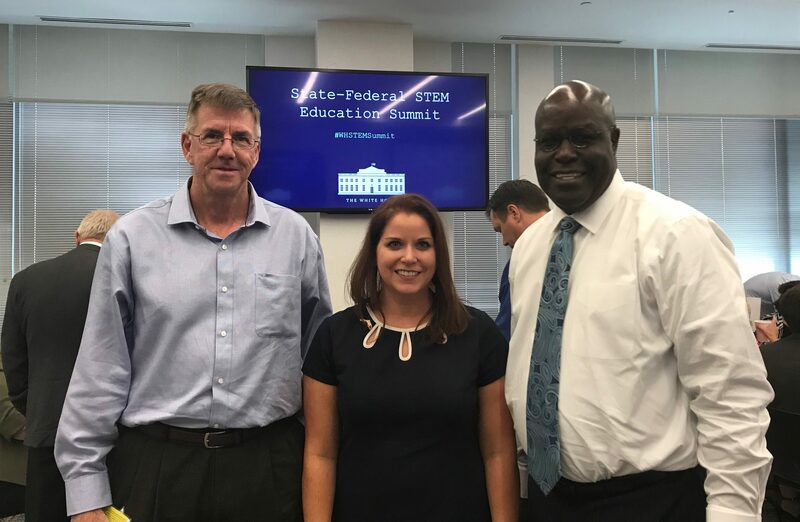 WASHINGTON, D.C – CareerSource Florida President and CEO Michelle Dennard is attending the inaugural State-Federal Science, Technology, Engineering and Math (STEM) Education Summit hosted by the White House Office of Science and Technology Policy (OSTP) on June 25-26, 2018. Florida has added more than 35,000 STEM jobs over the last three years, as reported by Economic Modeling Specialists International, or Emsi. The STEM Education Summit is convening a diverse group of state leaders, including officials from governors’ offices, K-20 educators, workforce and industry representatives, state policy experts and others. Attendees will participate in the development of a new Federal STEM Education 5-Year Strategic Plan. In addition to President Dennard, TechFarms CEO Steve Millaway and Florida Department of Education Division of Public Schools Chancellor Hershel Lyons also were invited to represent Florida. CareerSource Florida provides oversight and policy direction for talent development programs administered by the Department of Economic Opportunity, Florida’s 24 local workforce development boards and their 100 career centers. Together, the CareerSource Florida network connects employers with qualified, skilled talent and Floridians with employment and career development opportunities to achieve economic prosperity. Learn more atcareersourceflorida.com.